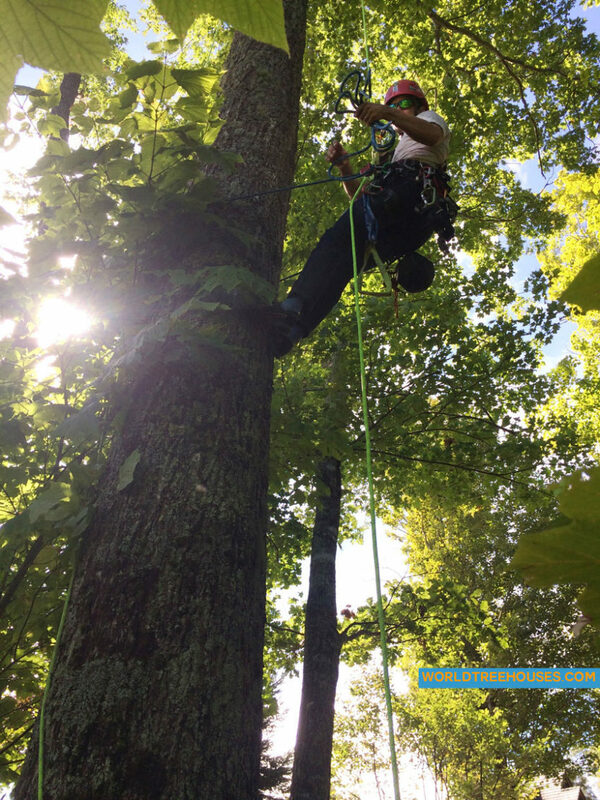 World Treehouses owner, Adam Laufer, takes a moment to enjoy being in the treetops during a recent site visit. 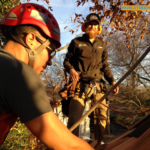 During a site visit, our builders evaluate whether you have the right trees that can support a treehouse. World Treehouses is Western NC treehouse builder of treehouses, tree platforms, rope and suspension bridges, and other tree-centered projects.